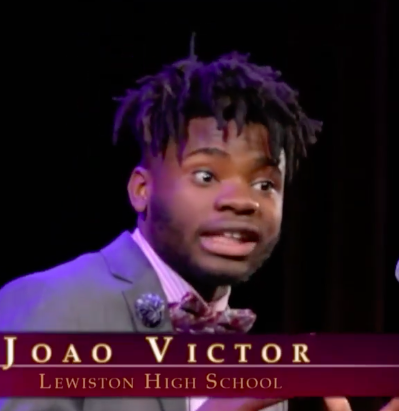 One week from today Joao Victor from Lewiston High School will be in Washington, D.C. to represent Maine at the National Poetry Out Loud Finals. Fortunately, the recitations are broadcast live from the Lisner Auditorium at George Washington University. advance to the National Final on May 1. The National Final will be broadcast from 7:00 – 9:00 p.m. You can view the event POL & Live Broadcast. I hope that you’ll have a chance to cheer Joao on, we’re excited for him! Both days of the National Finals will also be available through a live, one-time-only webcast HERE. 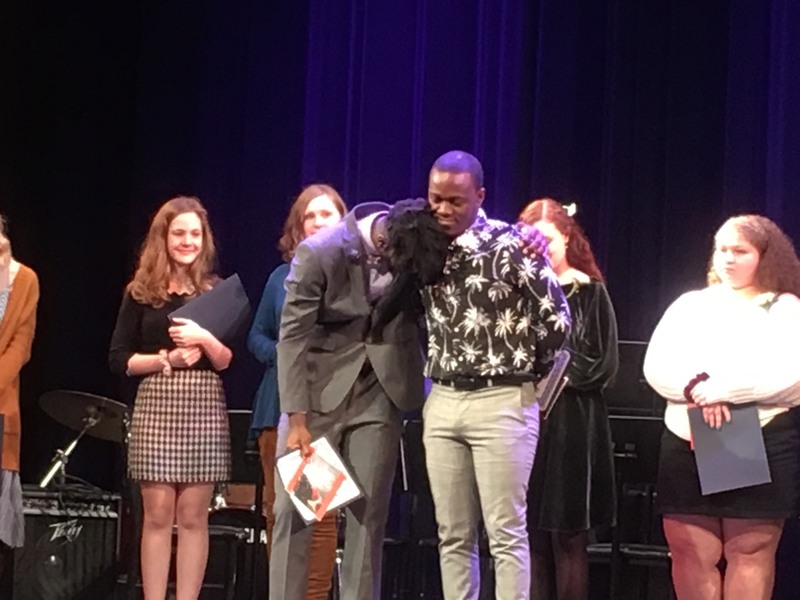 If you missed the Maine Poetry Out Loud (POL) State Finals that were held on Monday, March 11 you can see the BRTV recording that was live streamed. The state finals opened with the Messalonskee Jazz Band under the direction of music educator Andrew Forster. Archived on the Maine Arts Commission Facebook page. Bill Green, who served as the emcee for the state finals, provided a POL segment on his weekend show Bill Green’s Maine News Center. It’s a wonderful summary of the event – VIEW IT HERE. Thank you Bill for doing such a great job! The Maine Arts Commission is creating Maine videos to provide resources for students and teachers participating in the POL program. The FIRST VIDEO is available on Pace. 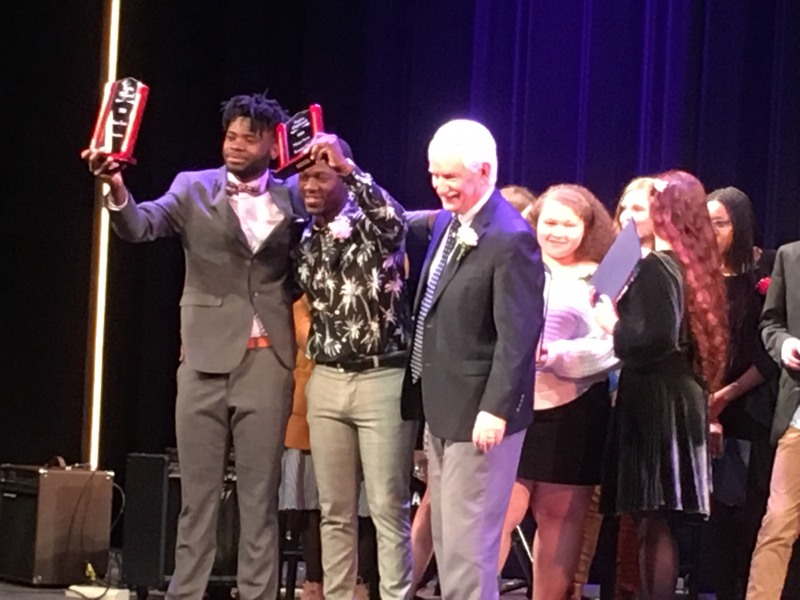 It includes three Maine high school students, Allan Monga, Deering High School, Portland, the 2018 Maine State Champ and 1st runner-up from 2019, Emma Lombardo, Westbrook High School, a State Finalist for the 2018 and Wyatt Bates, Yarmouth High School, Regional Finalist in 2018 and 2019. 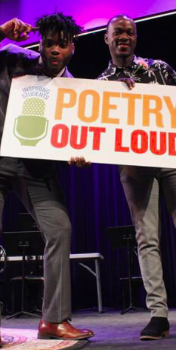 More videos will be created and all of them will be available on the Maine Arts Commission Poetry Out Loud webpage. 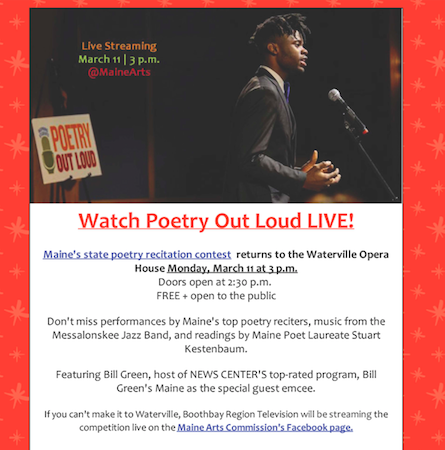 This photo says it all – Maine Arts Commission staff is proud to provide the State Poetry Out Loud (POL) Finals at the Waterville Opera House, March 11, 3:00 p.m. The doors open at 2:30 and is free to the public. At 2:45 the Messalonskee High Schoo Jazz Band, under the direction of music educator Andrew Forster will perform and again during the afternoon. 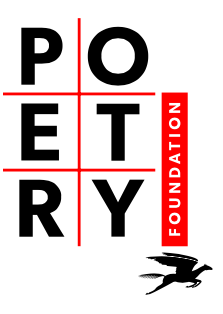 State Poet Laureate Stuart Kestenbaum will share some of his poems. Emcee for the afternoon will be television personality Bill Green. 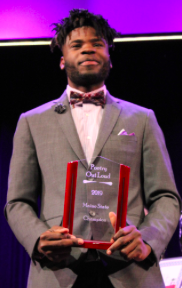 Ten state finalists from throughout the state will recite some of their favorite poems. 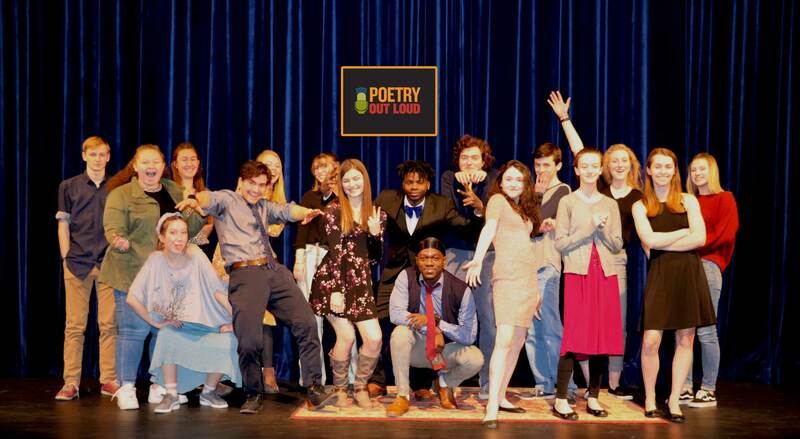 At the end of the event, one student will be selected to represent Maine as the 2019 State Champ and move on to the National Poetry Out Loud finals scheduled for April 30 in Washington, D.C.
To learn more about POL CLICK HERE!